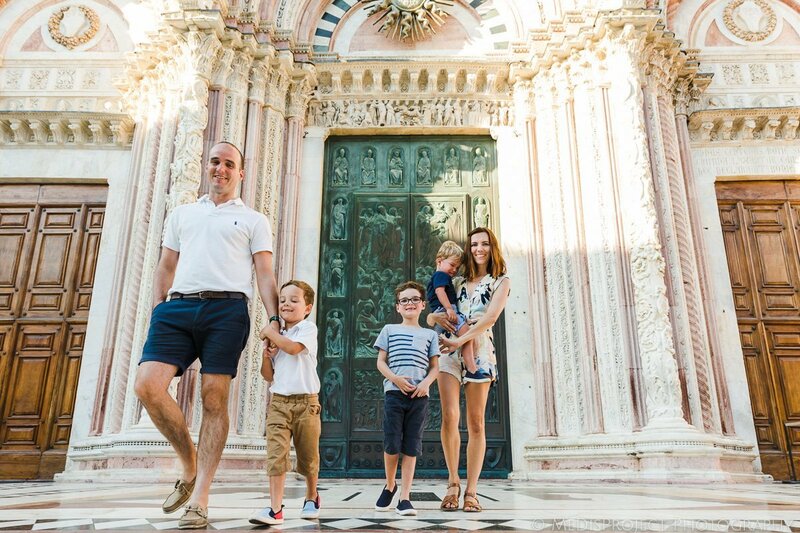 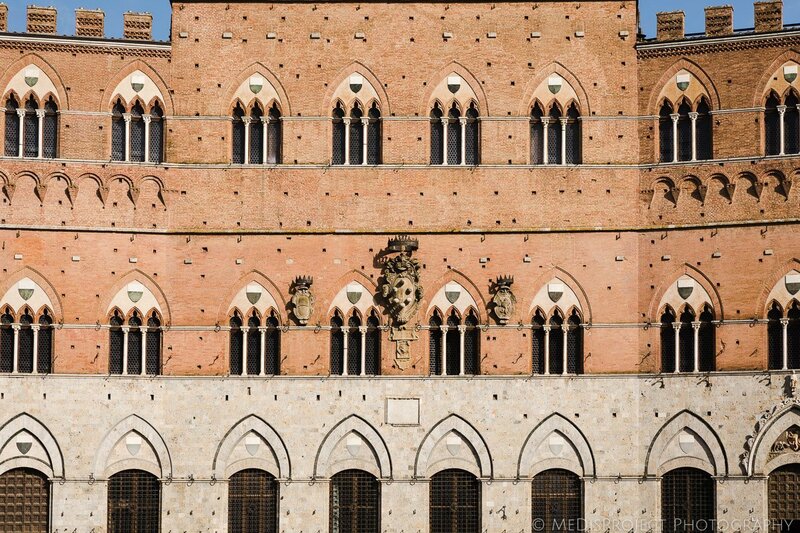 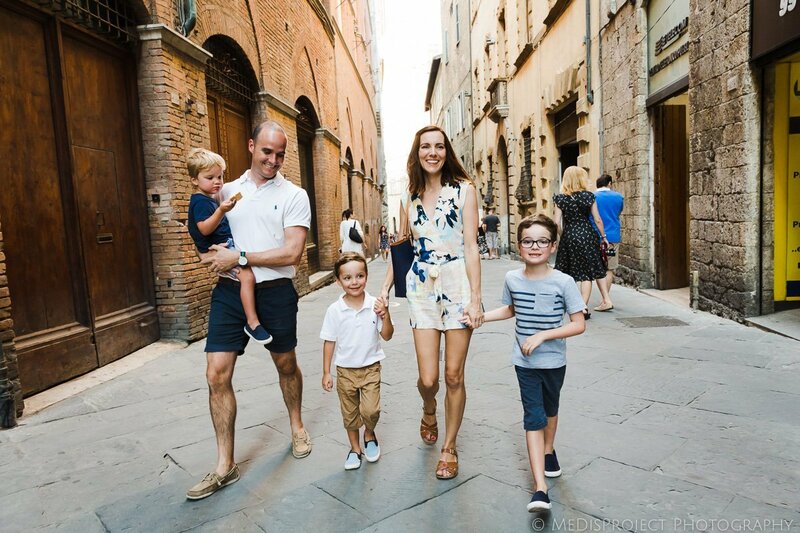 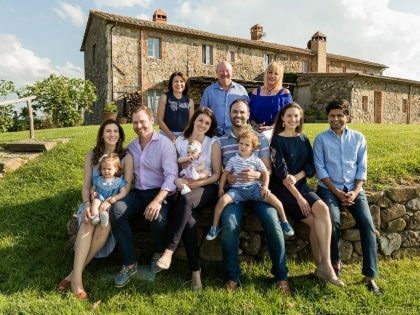 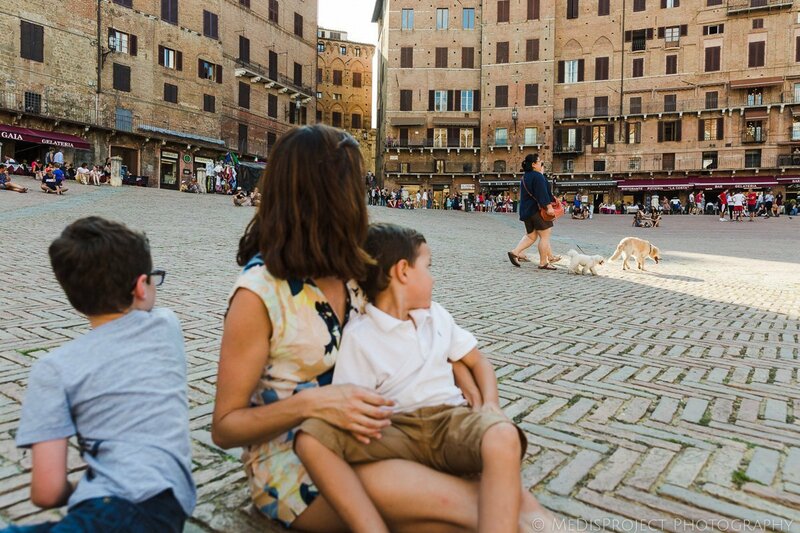 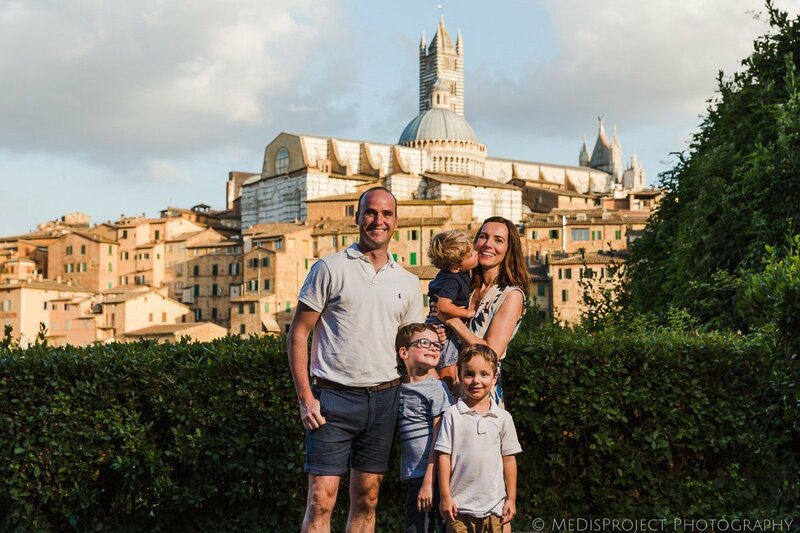 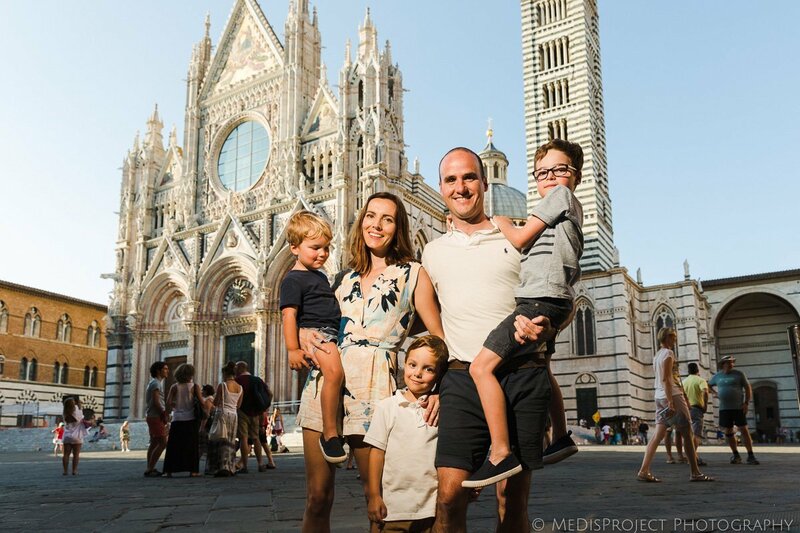 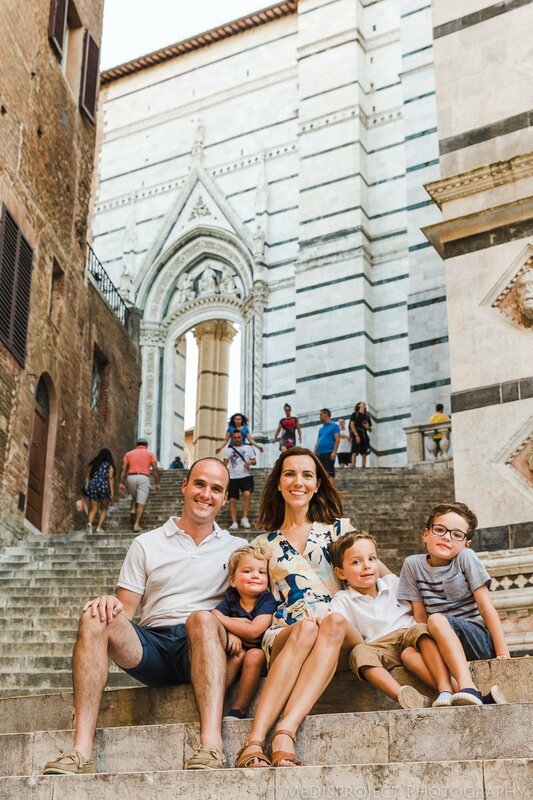 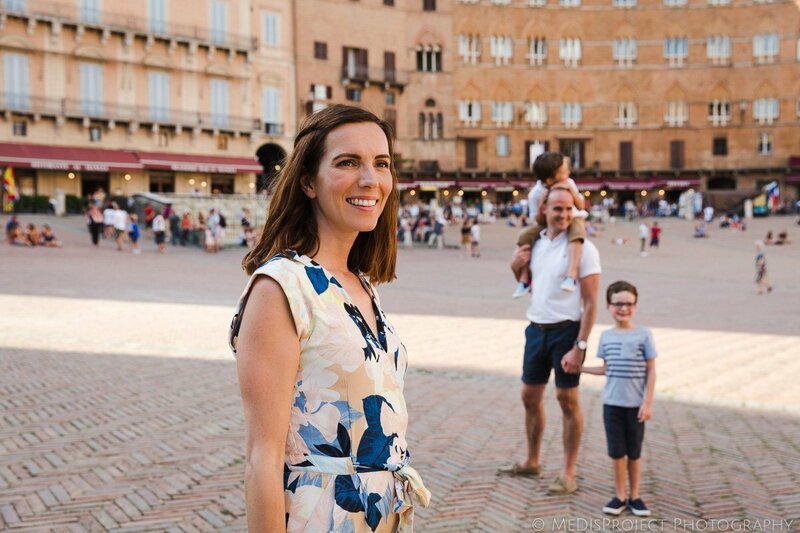 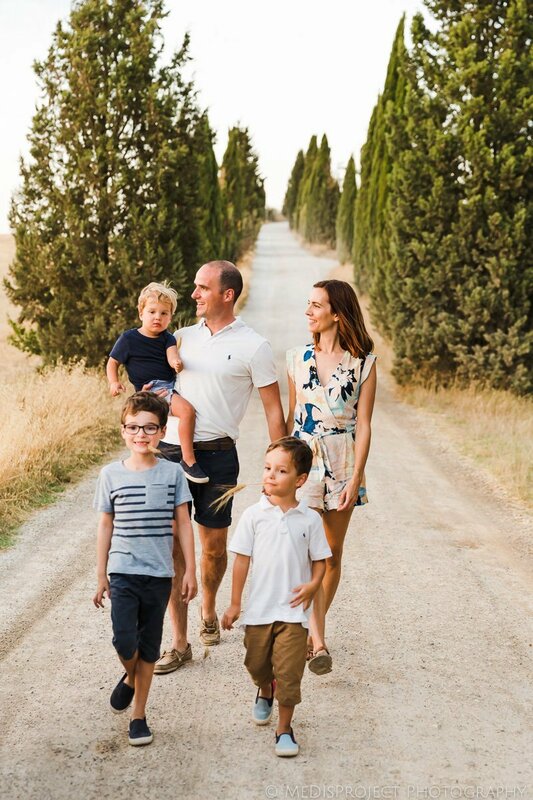 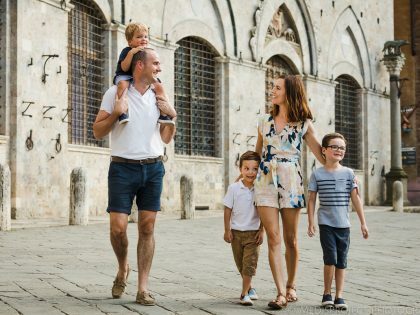 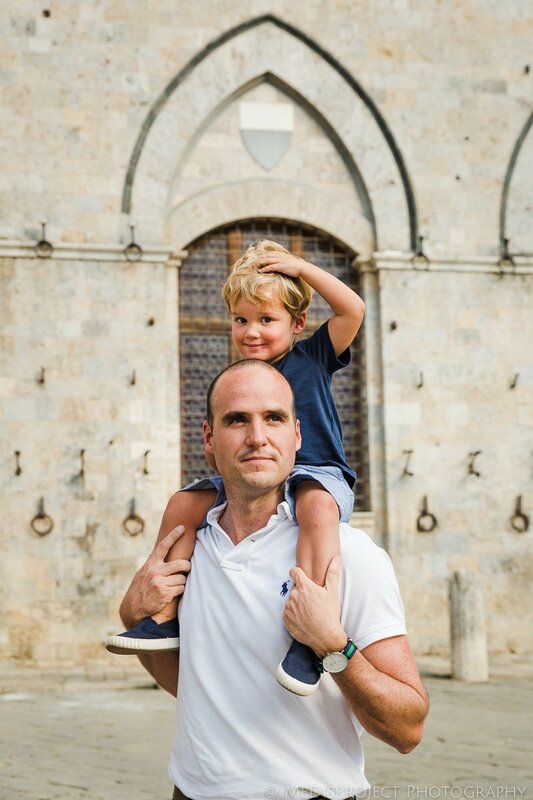 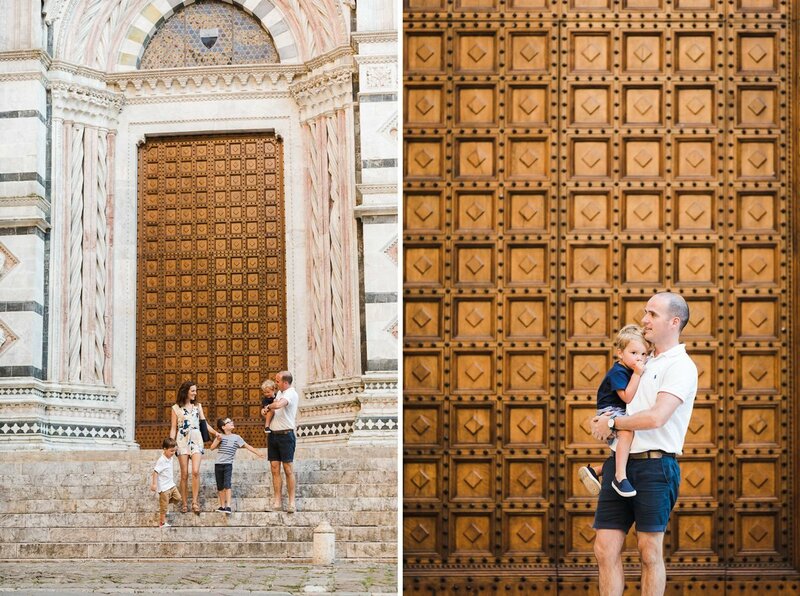 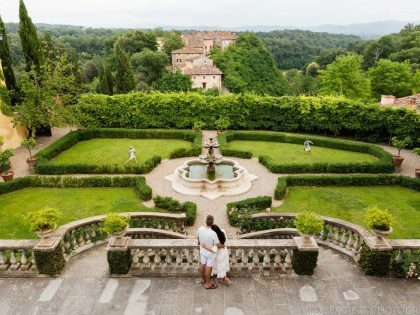 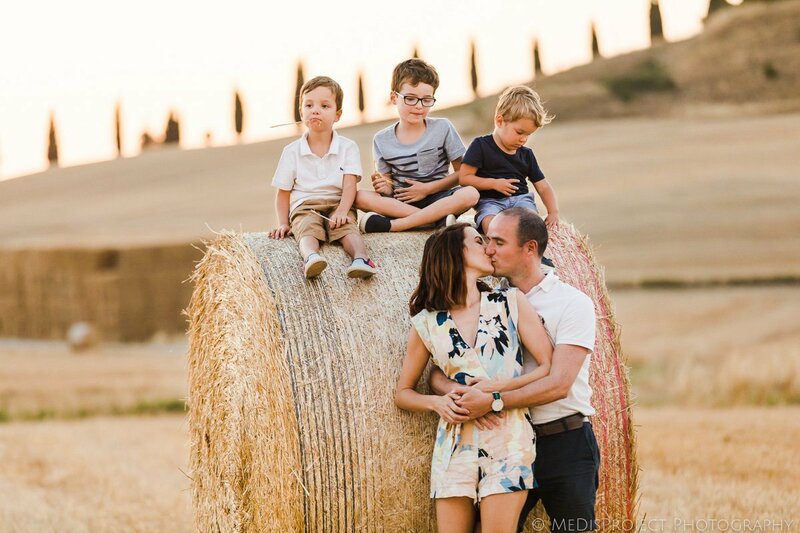 Are you planning a family trip to Siena? 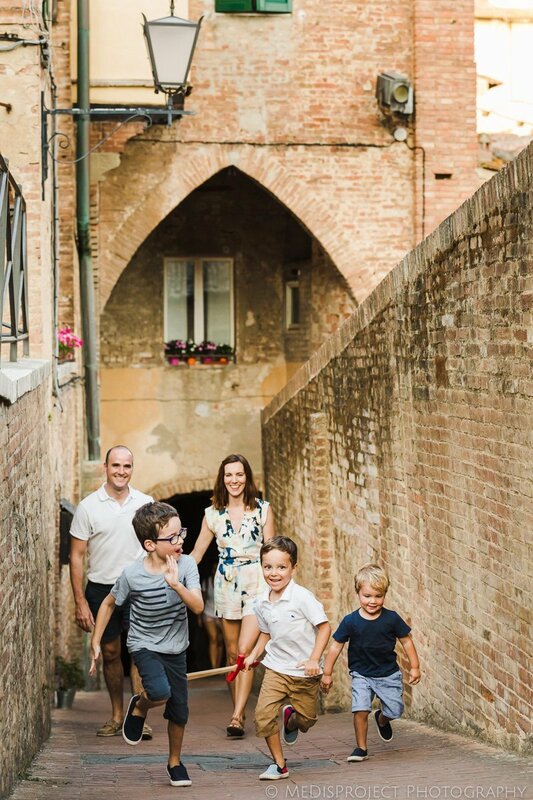 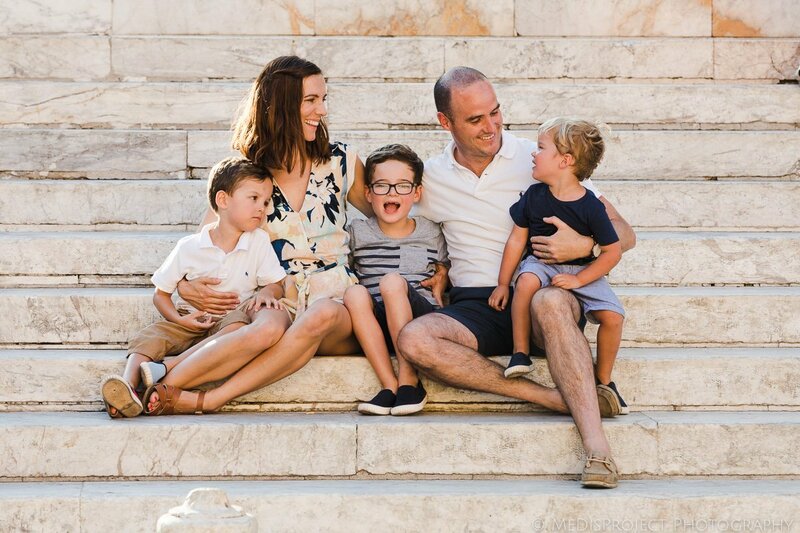 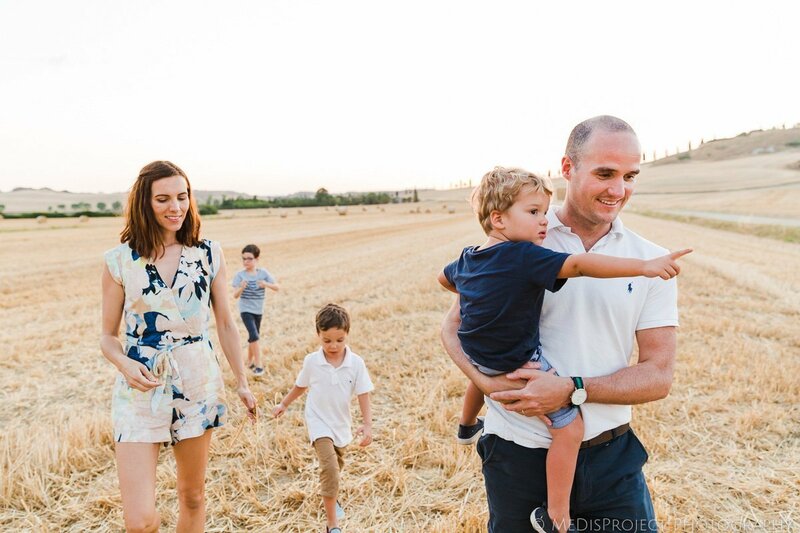 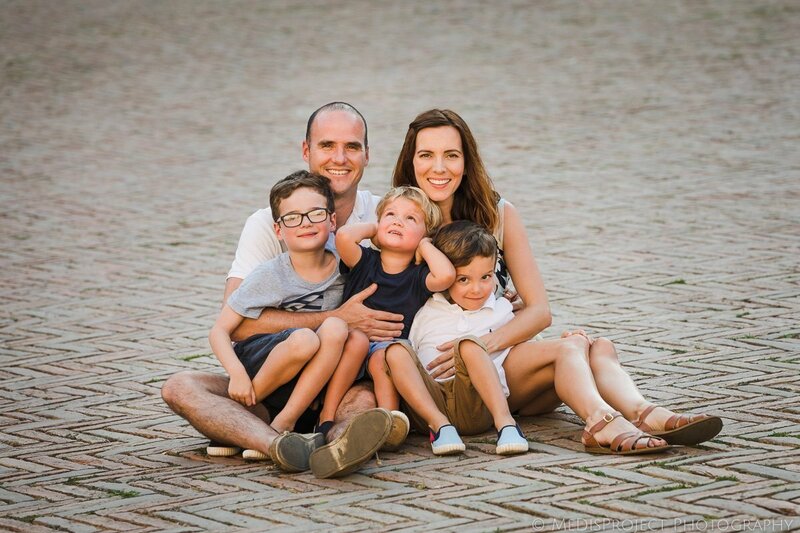 Here’s an example of a photo session we organized with this gorgeous family of five coming from Australia. 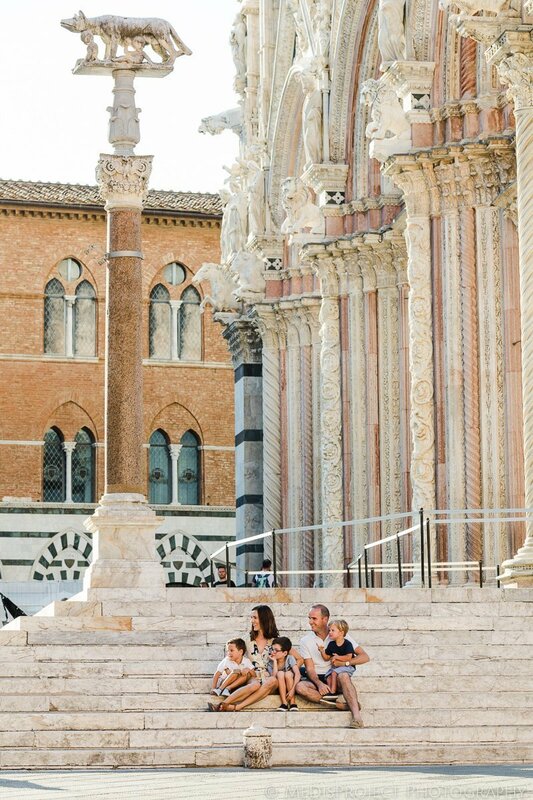 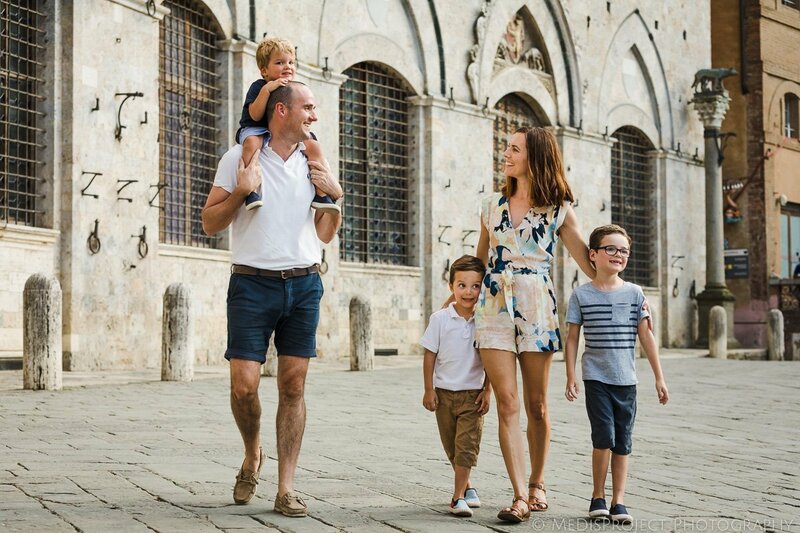 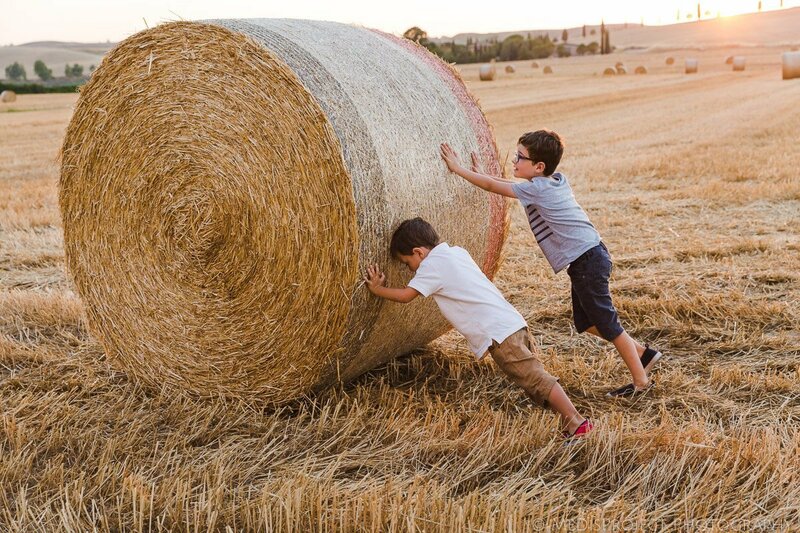 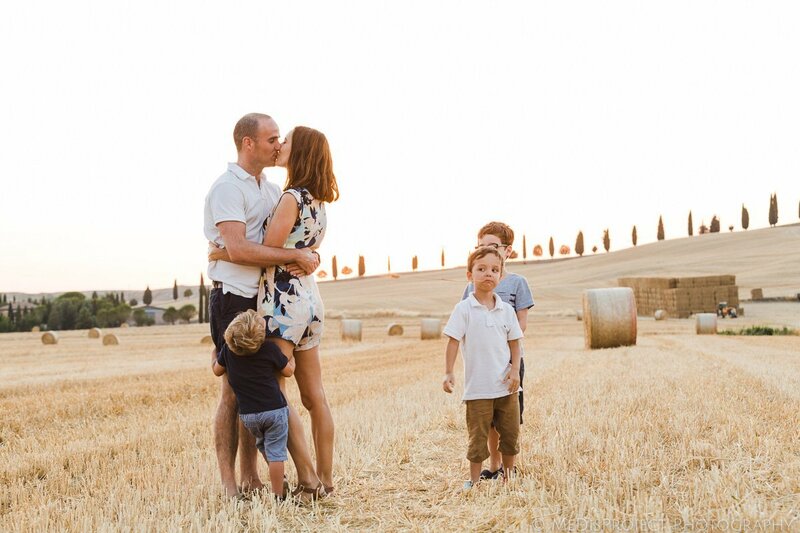 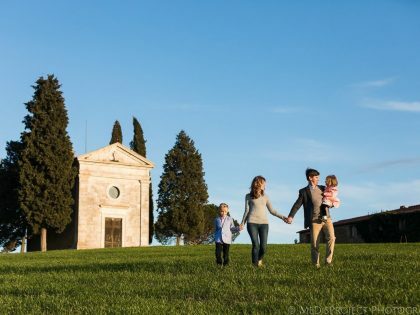 Siena is one of the best destinations in Tuscany for families. 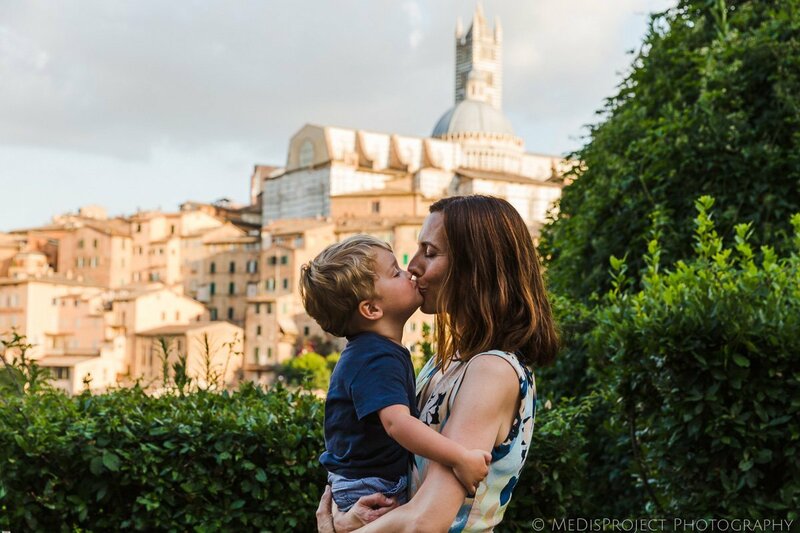 Finally, we had the chance to explore it with Kate, Tristan, and their wonderful three little boys. 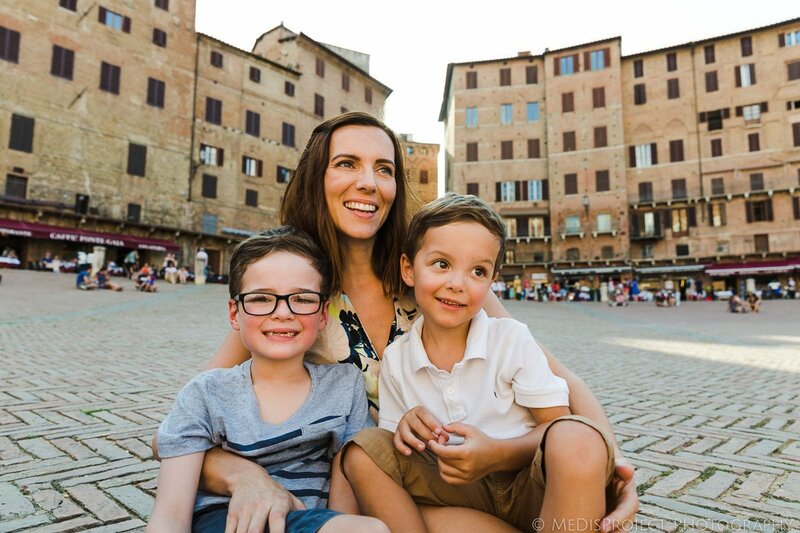 We met them right at the heart of the city, in Piazza del Campo. 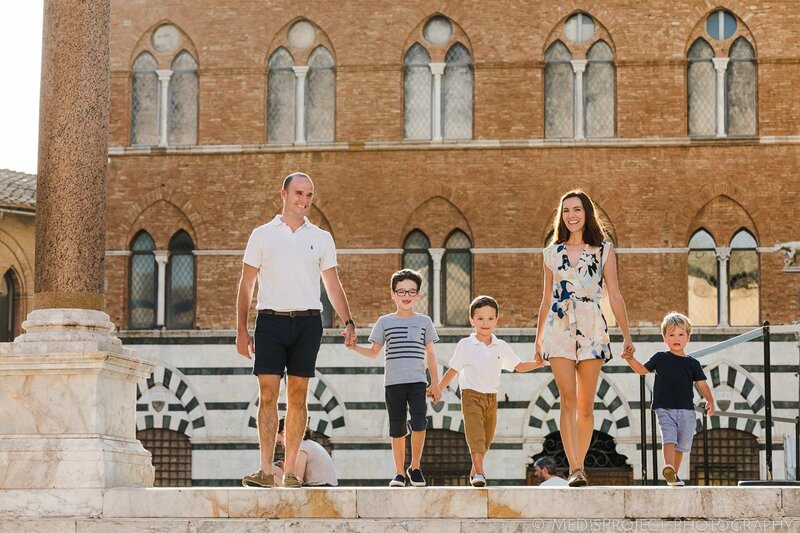 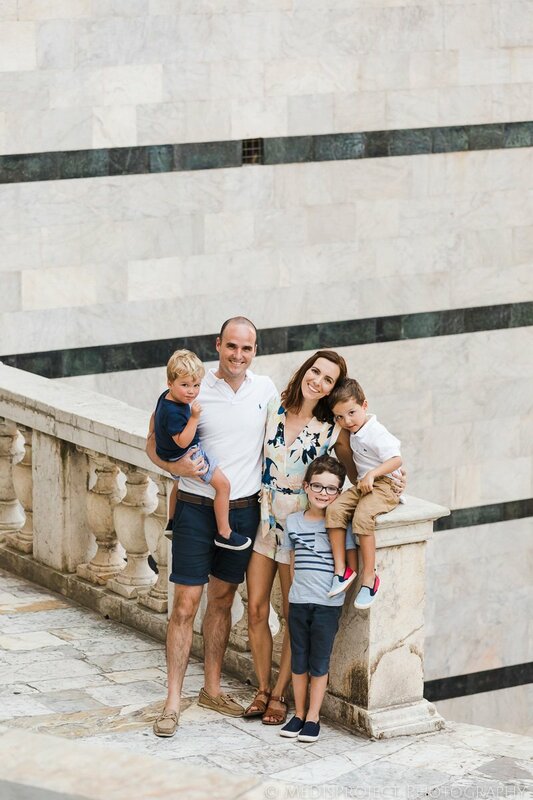 Actually, they were celebrating their wedding anniversary, since they got married right in the Palazzo Pubblico 10 years earlier. 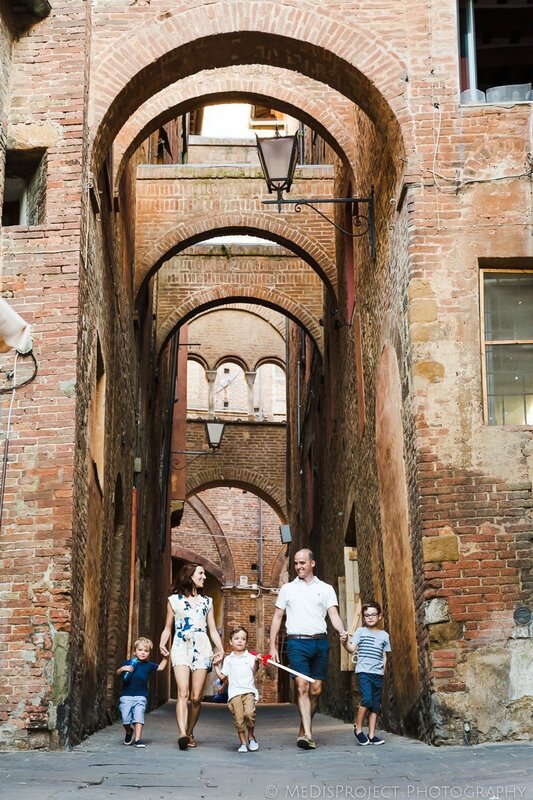 The center of Siena is very easy to walk around, the streets are often up and down the hills. 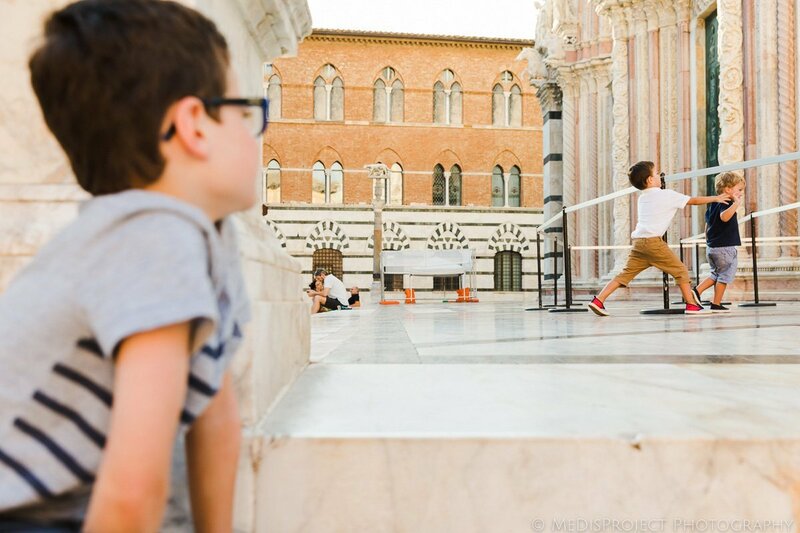 As a result, we had a lot of different points of view on our photos. 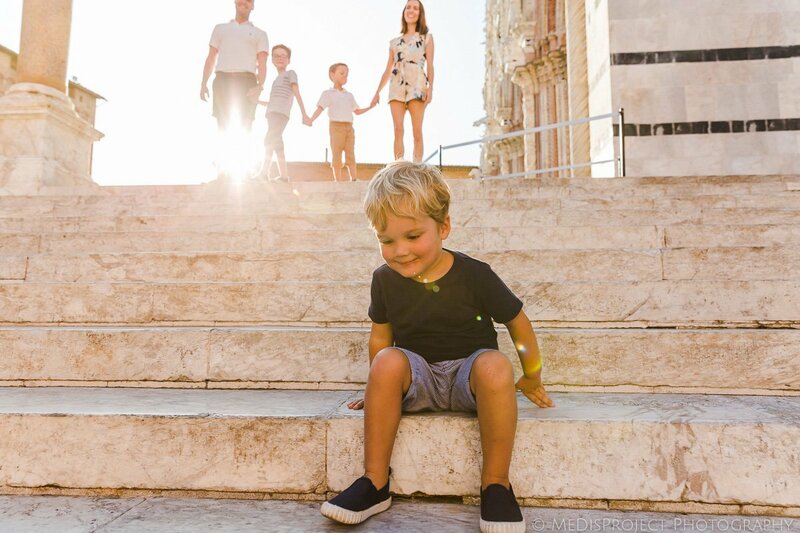 Also, most of the central area is a Limited Traffic Zone and this makes it particularly child-friendly. 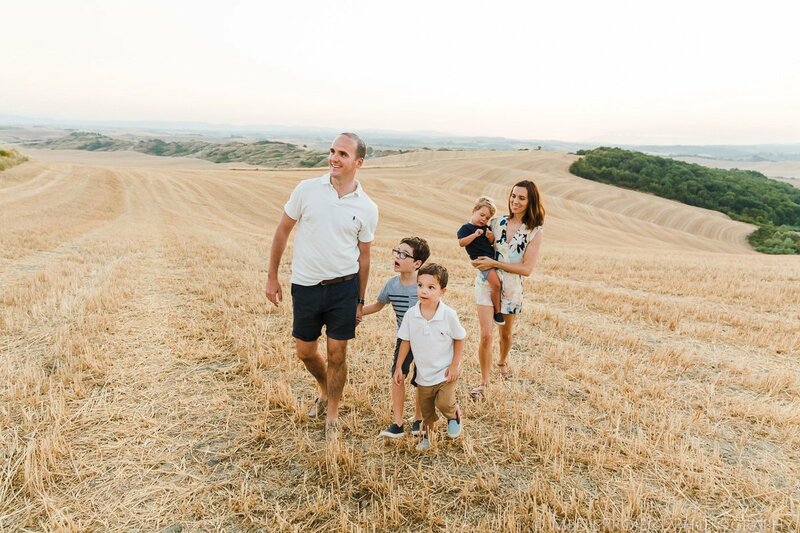 After strolling the old town, we wanted to get some nice shots in the countryside. 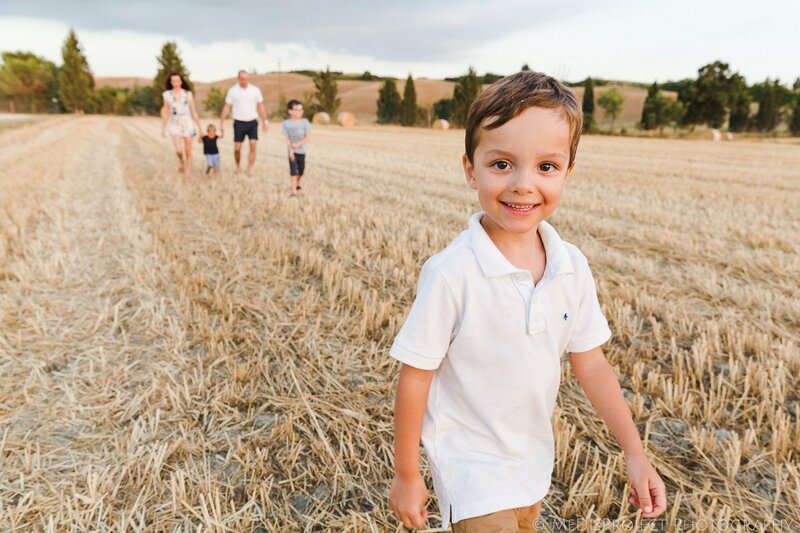 And what a better place then the Crete Senesi? 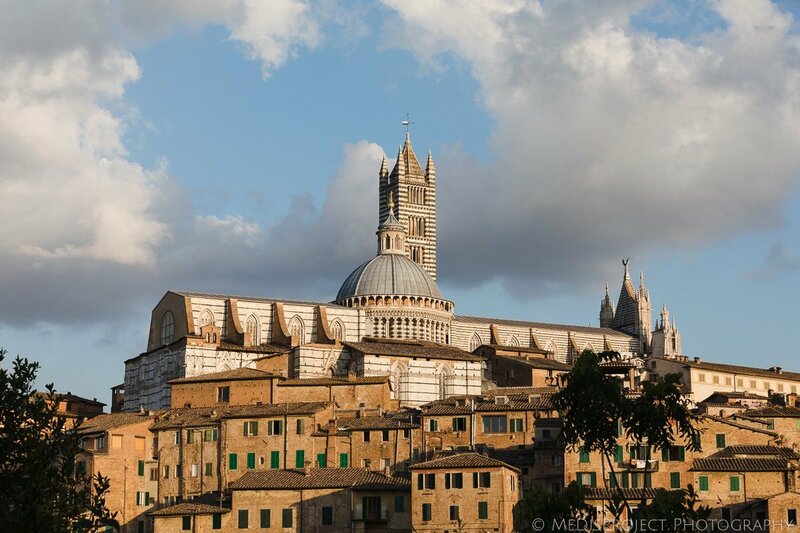 In fact, this famous area is a few minutes away from Siena and represents one of the most typical examples of the Tuscan landscape. 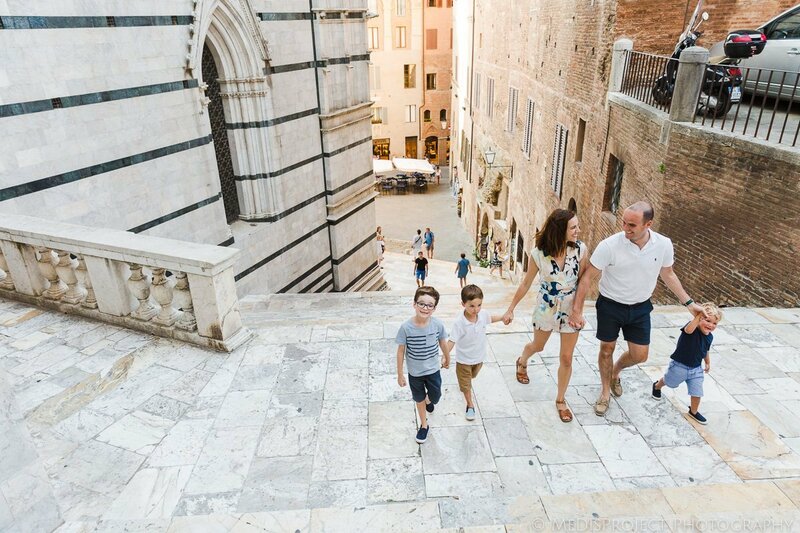 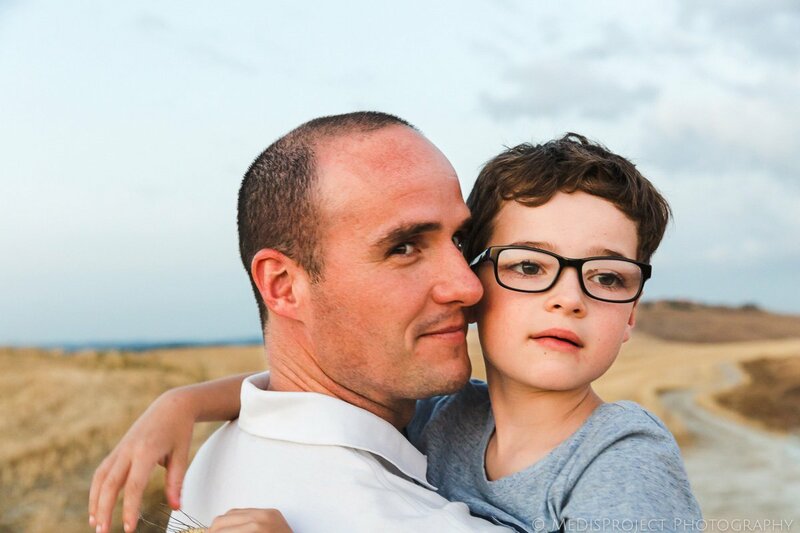 Here’s our selection of favorites from that day, we hope to give you some inspiration for your next family vacation!